Before beginning his legal career, Thomas Margolis graduated with distinction from the University of Wisconsin-Madison where he received his Bachelor of Arts degree in International Relations/Russian Area Studies. He received his Juris Doctor degree from the University of New Hampshire School of Law. 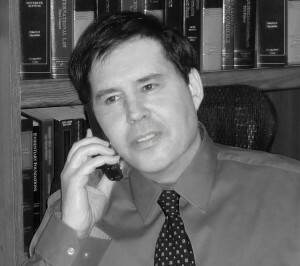 Attorney Margolis has a proven track record of procuring outstanding results for his clients. He has been called “smart, aggressive, tough, determined, and thorough.” He diligently prepares every case he handles and has a talent for picking apart every last bit of evidence. Attorney Margolis is also skilled at making complex legal issues understandable to the general public. For example, the “most trusted media source for fitness business professionals” Club Industry sought Attorney Margolis’ expertise for an educational feature regarding risk mitigation in health clubs. In addition to working domestically as a Wisconsin attorney, Thomas worked in Moscow, Russia with the Deputy Director of the American Bar Association’s Rule of Law Initiative on a groundbreaking, countrywide program. The program was initiated by the Russian Federation’s Chamber of Advocates and involved the implementation of rules for the enforcement of disciplinary procedures for lawyers throughout the Russian Federation. Attorney Margolis’ extensive legal research was reviewed by a special committee of Russian academics, law scholars, law professors, judges, and attorneys. This unprecedented program culminated with the publication of the Professional Ethics Manual (2009), the first of its kind compendium regarding professional rules and ethics for Russian lawyers. Before Thomas decided to become an attorney, he was a business owner in the healthcare field. He sustained a very large and loyal clientele for over twelve years due to his expertise and commitment to his clients. Now, as a Wisconsin lawyer, Thomas applies his sharp legal skills and talents to help his clients and their families get the legal guidance they need and deserve. Thomas Margolis is a Wisconsin lawyer based in Madison, serving the entire state of Wisconsin. The Margolis Law firm specializes in personal injury, gym injury, criminal defense, slip and fall, premises liability, personal injury defense, pharmaceutical negligence/malpractice, and consumer law.